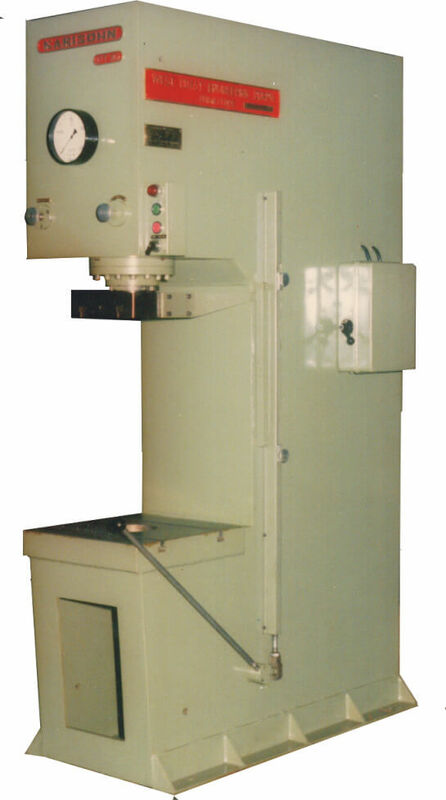 Open Throat Hydraulic Presses are One of the Most Versatile Presses for General Purpose Applications. 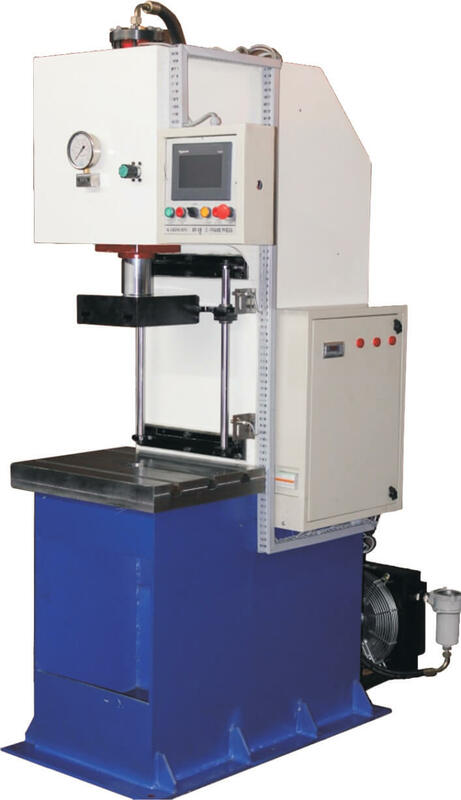 Advanced Part Programming Facility and Inbuilt Library up to 100 Components with Touch Screen Interface. SCADA Option for Monitoring Parameters Like High And Low interfaces, Pressing depth and More for Line Assembly. Programmable Rapid - Feed Path, Stop at Size, Vaiable Tonnage -Speed in Pressing Path & Many More Unique Features for Precession Assembly. Integral Frame Construction Ensuring High Rigidity and Strength with Load Equalizer for High Tonnage.